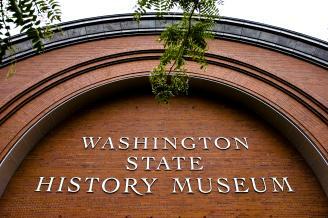 Discover the stories of Washington's past. Explore and be entertained while you learn about our state's unique people and places and their impact on the country and the world. It's an experience filled with interactive exhibits and displays, theatrical storytelling and dramatic artifacts. Connect with Washington's past in the Great Hall of Washington History Discover the fun of interactive learning in the History Lab Learning Center Feel like a kid again at the state's largest permanent model railroad layout Gain a new perspective by visiting one of our special changing exhibits Plan a meeting or private party at our beautiful facility. This 106,000-square-foot museum features interactive, multimedia and storytelling exhibits on the state, its people and places. The permanent exhibit, Hall of Washington State History, captures the stories, spirit and soul of Washington's native people, history-makers and everyday citizens. Experience life in a Salish Plank House, eavesdrop on Lewis and Clark, discover the realities of life on the frontier and during the Depression, enter the complex world of Washington's early labor movements and learn about major industries which shaped the state: farming, logging, coal-mining, dam-building and air/sea/rail transportation. A unique exhibit is the high-tech, 900-square-foot, topographical map of Washington which lets visitors view the state from its prehistoric terrain through ice ages, volcanoes and massive floods to present development. 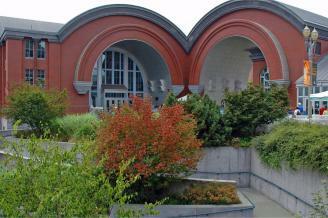 The museum contains the largest collection of pioneer, Indian and Alaskan artifacts on the Pacific Coast. It also encompasses a History Lab Learning Center for children, the state's largest permanent model railroad exhibit, space for special traveling exhibits, 215-seat indoor auditorium and outdoor amphitheater.